A Tribe/Community is best known for their cuisine or food. It helps to understand its respective culture more deeply. 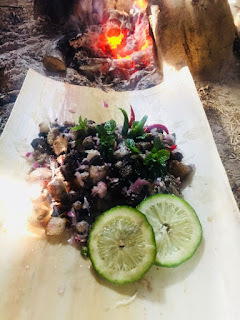 Every tribe/Community has there owned unique or traditional cuisine so Tripuri People also have their own cuisine. Tripuri People serve and eat these foods from old days only. 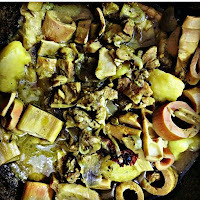 The most common ingredient is pork, dry fermented fish these are regularly used in all the tripuri food. 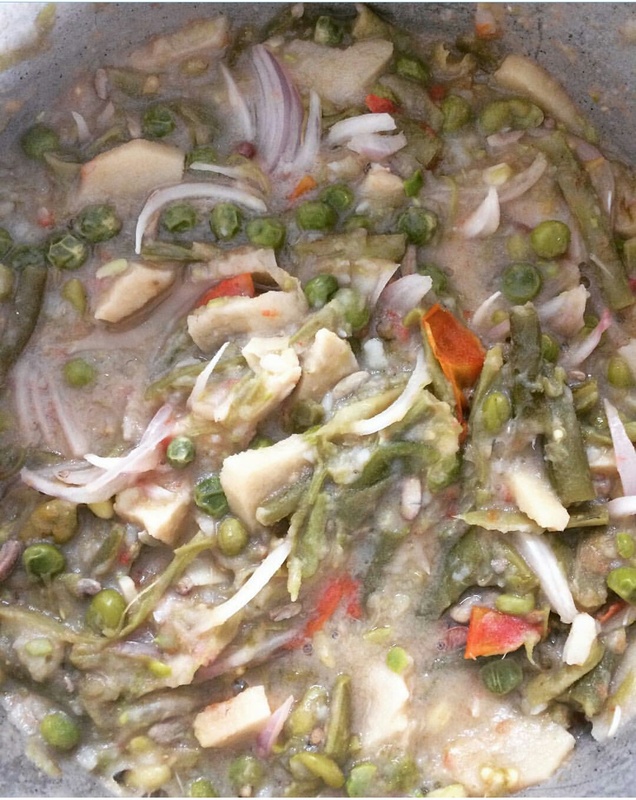 It is mainly prepared by bamboo shoots with baking soda, green chilli, ginger, rice floor and fresh lemon leaves. 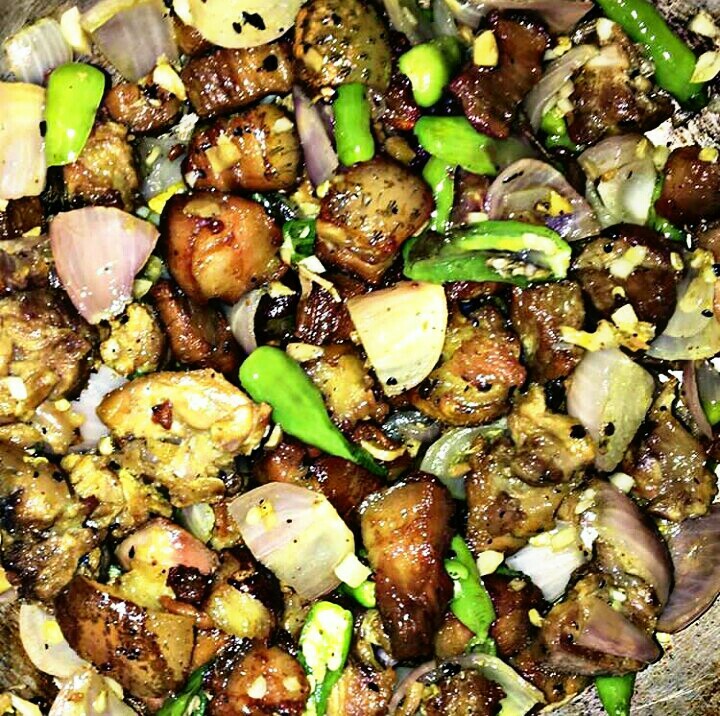 Sometimes chicken or pork are also added in case of non-vegetarian food. 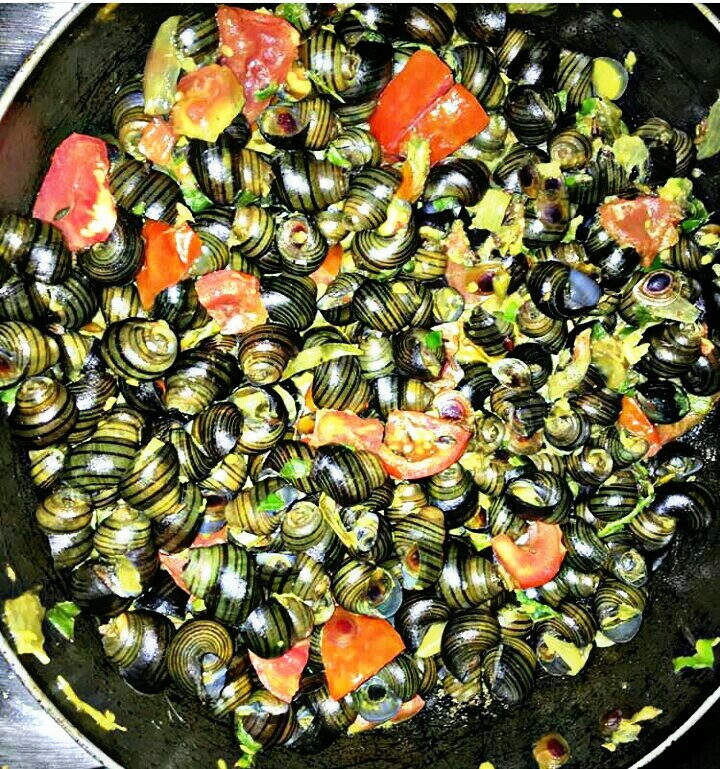 These are prepared by water snail as the main ingredient. 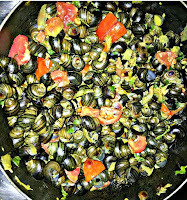 The water snail is first boiled and then fried with oil.Then vegetable such tomatoes, potatoes are included. Green chillies are used in large amount. 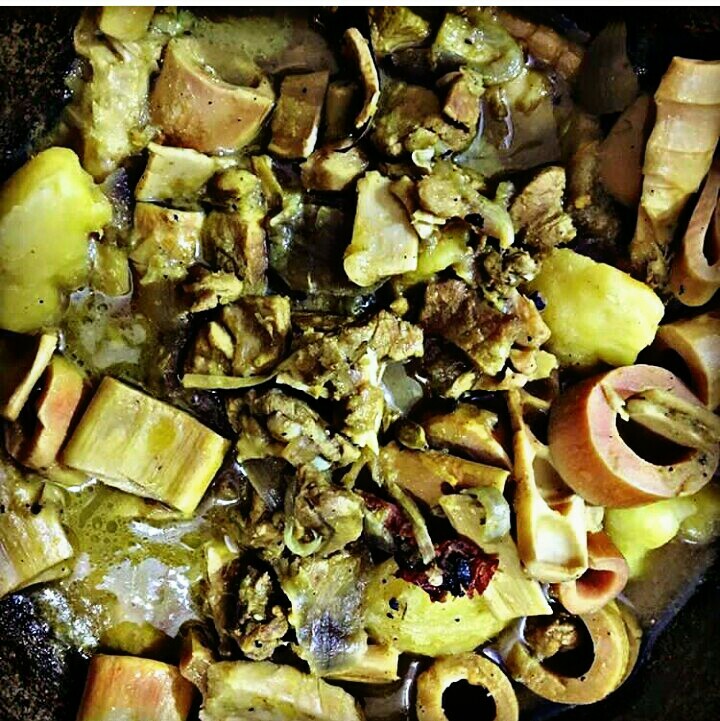 These are made by boiling chicken, bamboo shoots, potatoes with chilli, ginger. Ginger is the main ingredient. A major herb called Kaising Mosla is added to bring more fragrance in it. These food items are mainly served as the main course by the Tripuri People. It is served on special occasions and days. Pork is the main ingredient here. First off all pork is boiled till water are is soaked. Then chilli, ginger, onion are added. 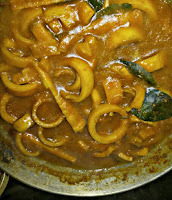 Tomato and little lemon juice are also added. 5. GODOK: Godok is prepared by adding fermented dried fish to boiled vegetable such as peas, snake beans, tomatoes, potatoes. Chili, onion, ginger are used widely here. 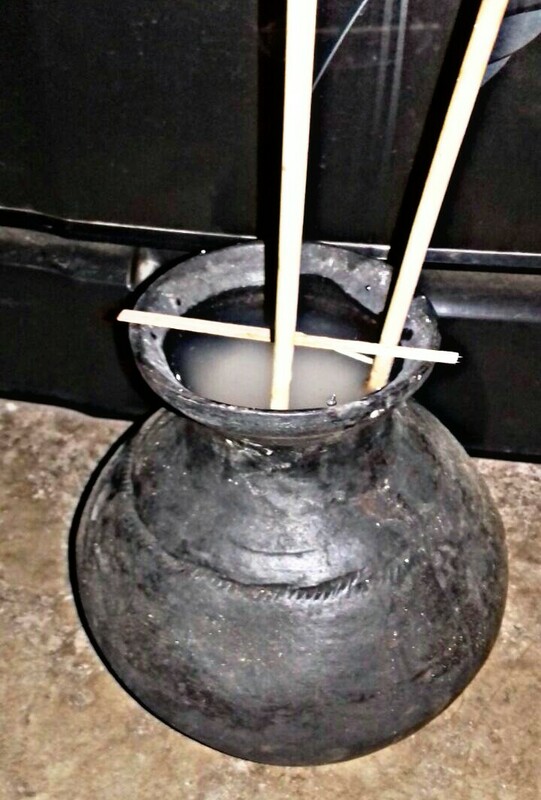 The Traditional Tripuri rice-beer is called chuck. It is made by fermenting rice with water. It's usually drunk on social occasions, family occasions and special days.